As per the latest satellite data released by the Central Pollution Control Board (CPCB) in Delhi at a meeting with Rajasthan state pollution control board, Sriganganagar, Kota and Bundi districts have the highest density of air pollutants in Rajasthan. In June 2016, Rajasthan Government had launched mobile application RajVayu for sharing information about air quality index of Jaipur, Udaipur and Jodhpur. 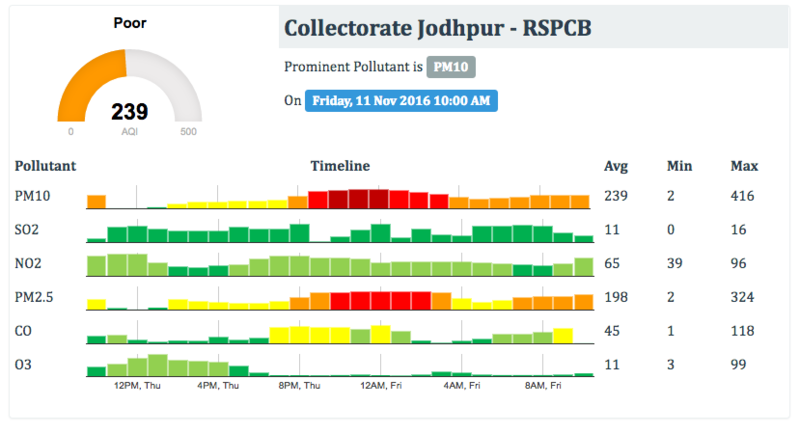 What has increased Pollution levels in Sriganganagar, Kota & Bundi ? The burning of crops in Punjab and Sriganganagar district has made the situation alarming in northern Rajasthan. The air quality in Kota and Bundi has degraded due to the smoke emitted by industrial units. In fact, Kota along with Jaipur, Alwar and Jodhpur comes in the top 100 polluted cities in the country. In report released by World Health Organization (WHO) in May 2016, Jodhpur is Rajasthan’s most polluted city and grabbed 30th spot in the global rankings, followed by Jaipur at 33rd. Kota was at 58th and Udaipur was at 59th position respectively. How is Air Quality in India measured ? 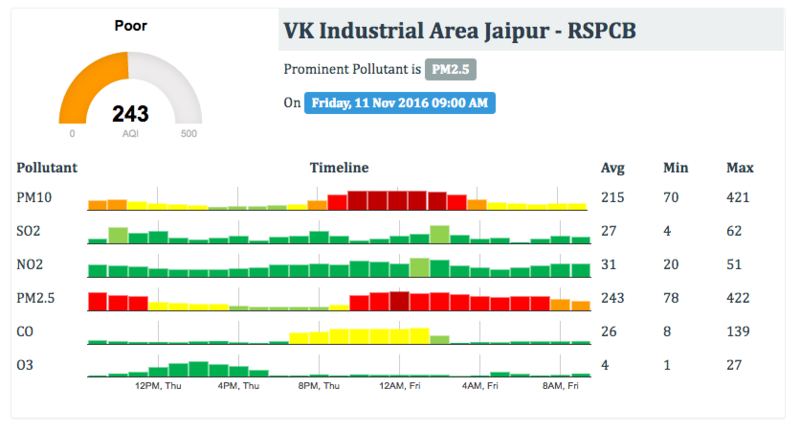 Air Quality in India (including Rajasthan) is measured through an Air Quality Index. The index is called as National Air Quality Index (NAQI) and measures level of eight pollutants (PM10, PM2.5, NO2, SO2, CO, O3, NH3, and Pb). There are six AQI categories, namely Good, Satisfactory, Moderately polluted, Poor, Very Poor, and Severe, which has set defined ranges for each of these eight pollutants. 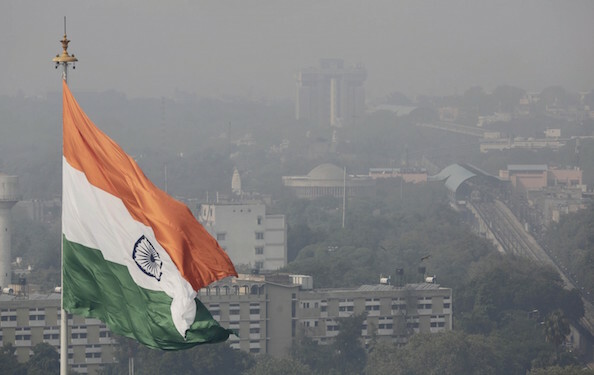 The Central Pollution Control Board along with State Pollution Control Boards has been operating National Air Monitoring Program (NAMP) covering 240 cities of the country having more than 342 monitoring stations.